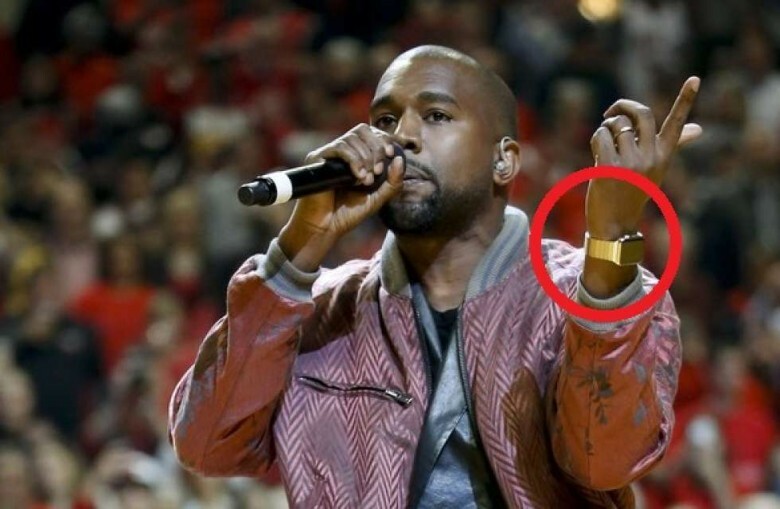 Kanye West was among the first people to get an Apple Watch Edition. Kanye West is an Apple fan. So what better Christmas gift for him to buy his wife, Kim Kardashian, than AAPL stock? Kardashian shared her surprising story online, saying that West gifted her the shares, alongside some Apple headphones, and some stock from other select companies including Amazon, Disney, and Netflix. While she didn’t share the exact amount, considering that AAPL is up 47 percent in 2017, that’s a pretty great gift! Kanye West has been an outspoken fan of Apple for much of his career. He’s previously given his own analysis of Apple’s business, proclaimed himself the next Steve Jobs, and spoken about his unabashed love for “Jony Ives” (sic). Perhaps the most offbeat Apple connection came when Apple co-founder Steve Wozniak was invited to be among the first people to meet Kim and Kanye’s baby North West several years ago. According to Woz, the trip was organized by Kim Kardashian as a birthday surprise for Kanye. Kardashian also owes Apple for at least some of her sizable fortune. Back in late 2015, Kim Kardashian’s new emoji app immediately shot to the top of the App Store charts, and even caused sweeping technical difficulties across Apple’s giant app repository due to its popularity. Apple stock has been predicted by multiple analysts to pass the $1 trillion mark in 2018.